I didn’t really know what to expect of Krystal Lodge. For one thing, when we went there last June, there were hardly any information about this place online. No pictures even. Still, I trusted Ferdz‘ judgement. 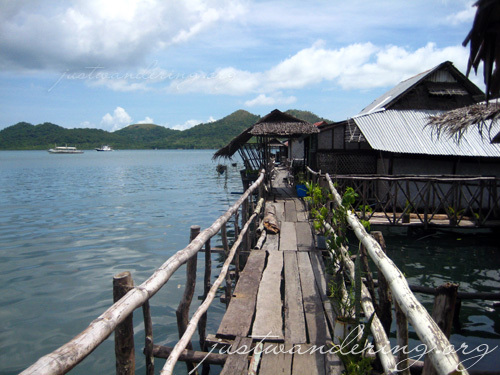 Besides, Coron is filling up because it was a long weekend, so we don’t really have much choice. When the jeep from Busuanga airport dropped us in front of an alley, my mind went into overdrive. What exactly are we getting ourselves into? We walked through a narrow alley, finally emerging on a wooden platform, then on to a wooden bridge, passing the mangrove and jutting out into the sea. Welcome to Krystal Lodge. Next to Ponce Suites, this is the most interesting places I’ve stayed in this year. 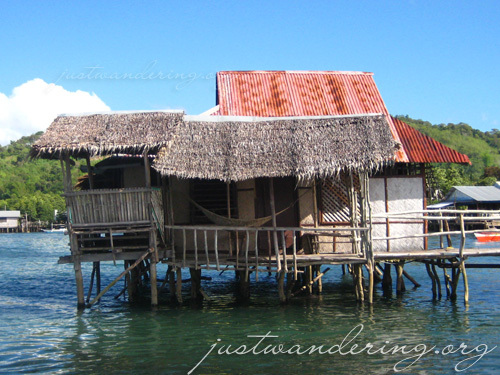 Krystal Lodge is a series of huts on stilts over the sea. There’s a main house, that has the caretaker’s quarters, some rooms, the kitchen, and a common area, then further out are three more huts. Mhye welcomes us and shows us our rooms. Gail and Marc gets a room in the main hut, while Eric, Ferdz and I share the hut furthest out to sea. The hut was surprisingly roomy and quite breezy. We are amazed at the facilities of our little shack on stilts: one bedroom, a bar, a small dining area, a kitchenette, a loft and yes, it has a functioning toilet and shower! Outside, we have a small porch, a hammock and a smaller hut with seats and a table. Eric and I shared the downstairs bedroom, while Ferdz had the loft to himself. the bedroom was quite roomy — there are two beds, and a huge shelf for our things. There’s also two tables, a fan and access to a changing area. And if you’re wondering, yes, there’s electricity too! Of course, you can’t have an accommodation like this without its quirks. First, there’s the toilet and the shower. The toilet and the shower area are separate, but is right beside each other. Though the toilet had a door that locks, the shower only had a very thin curtain that blows out whenever there’s a slight breeze. Also, the wall that separates the two was a piece of translucent roofing… you know, the ones they use for skylights. Another thing about the toilet was this diamond hole in the wall at crotch level. When you’re sitting down in the toilet, it lets you look out into the sea and the island across. Though there’s running water in the hut, it can sometimes be a problem when it slows down to a trickle. It was especially bothersome when the electricity went out on some parts of Coron and Krystal Lodge was affected. Not only do we have to navigate through the alley and the rickety bridge in the dark, we arrive at our hut, exhausted and sticky from island hopping, only to find the water’s out too. Though it was already midnight, Mhye did everything she could to have the water and electricity restored in our hut. RELATED: What's next for Cebu Pacific? Krystal Lodge is rustic, rugged and certainly not for the high maintenance traveler. However, it’s these very same things that makes it charming. oh gosh, i miss Coron! this is interesting! hehehe! so,paano iyong toilet? diretso sa dagat? btw, i like your blog very much, probably, because there are places that i’ve been to that you’ve featured here. can we xlinks? My family just arrived from coron and we stayed at Krystal Lodge for several days. I was told that the place built a septic tank to comply with the city ordinance. Friendly manager and good-mannered staffers. Stop making up stories here!!! LIAR!!!! Since of the 1st decembre 2010 the direction has changed. They screwed off their son and his wife and now Mr. and Mrs. Langit with their daughter tries to manage this little corner of paradise. But for our misfortunes are not up to par. They have dollar signs in their eyes these people and for them the foreign are the revenge of their misery. Hey marie! You kicked out from Krystal lodge becoz you don’t have any respect to the owners. Stop lying online!!!! You LIAR!!!! Any idea guys regarding its rates?? 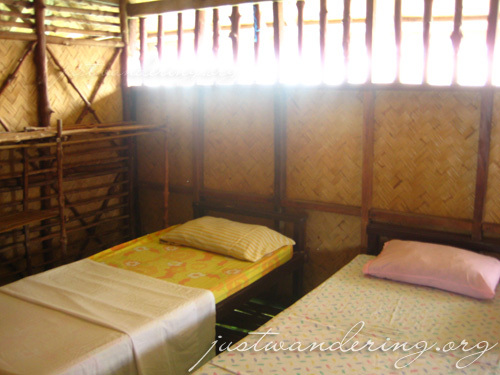 They normally offer P800 for a double bed for two. but i immediately change my mind when they showed me the cottage for a thousand. me and my hubby enjoyed. Hi be coron August nd ask price of room per night,im alone so 1 person only? Hi Wayne, best to contact Krystal Lodge directly for inquiries as their rates may have already changed since we stayed there in 2008. Hi im having trouble calling krystal lodge in coran,do u have up 2 date # as # advertised is lady who has since left.thanks if u can help.